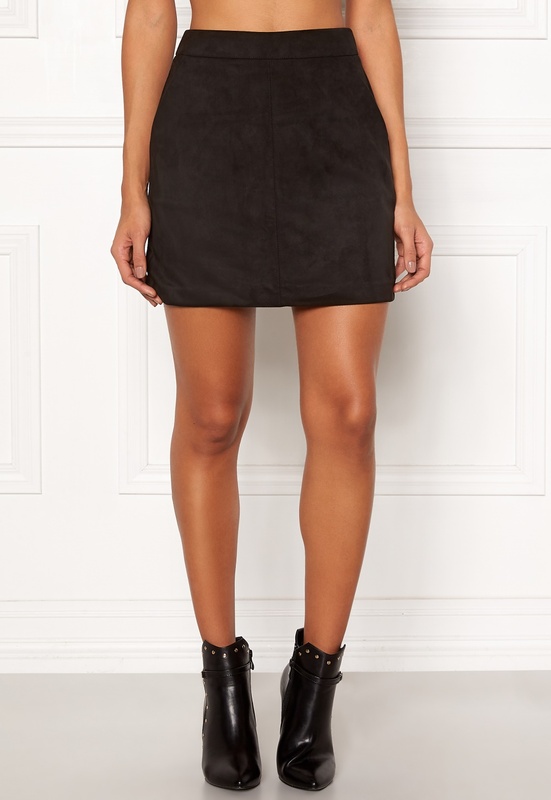 Lovely skirt from VERO MODA. The skirt is made from faux suede, and is suitable for both everyday wear and parties. - Light stretch quality - Back zipper - Two front pockets Center back length 41 cm, waist 74 cm in size S. The model is 176 cm tall and wears a size S. Machine wash at 30 degrees (delicates).